I found the notebook a few years after returning from Saudi. As I read the dream, it came back instantly. With stunning clarity, I recognized the long asphalt road—enclosed on either side by high chain-link fencing topped with barbed wire—cutting through flat, beige, barren desert. It was the road on the Ras Tanura compound leading to the Najma stables where Aramco employees keep their horses. I remembered the relentless scorching heat—sweat matting my hair, dripping from my bangs and ponytail. Over time I’ve realized how profound and prophetic the dream was. When I was told to “get the story” of the ancient sacred women’s creed, I was entrusted as one of the messengers of the untold stories of the women in Saudi and other Islamic countries. I’m not so grandiose as to think I am the only messenger—there are many of us. There is Malala Yousafzai, the sixteen year old Pakistani girl who, at age fifteen, was shot by the Taliban because she advocated for education for girls in her country. Even after her brutal attack, Malala will not be silenced. And there is Haifaa al-Mansour (Twitter | IMDb), the first female Saudi filmmaker. She wrote and directed Wadjda, the story of an 11-year-old Saudi girl who dreams of owning and riding a green bicycle. Bicycle riding is outlawed for women in Saudi. Haifaa directed Wadjda from inside a van to avoid discovery and prosecution by religious police. This past weekend at the Chicago International Film Festival, I attended the premiere of Honor Diaries, a film featuring nine courageous women’s rights advocates with connections to Muslim-majority societies. They discussed issues such as freedom of movement, forced marriage, honor violence, and female genital mutilation. Afterwards, I was privileged to meet Paula Kweskin (Twitter | IMDb), the director, and Raheel Raza, one of the brave human rights advocates featured in the film. All these women are part of a growing movement to raise awareness of women’s oppression and affect change worldwide. I have joined the movement, and I aspire to be even a fraction as courageous as they. I continue to believe the dream I had twenty-eight years ago came to me with a divine assignment—and I’ve long given up any futile attempt to stop. 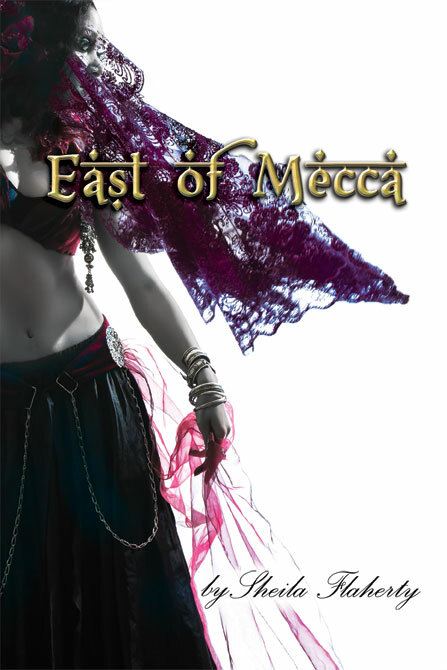 Now, East of Mecca (Buy on Amazon.com | Book website) is published—and my journey has just begun. How profound that you were open to the meaning of the dream….that you didn’t merely dismiss it….that you believe God sends messages ….signs…..and you didn’t toss them as just your imagination. And how fortunate for all the women you have already helped and will continue to help because of it. Serendipity that I saw a comment you made on a friend’s post and I was drawn to you …and then discovered your book…..someday I hope to meet you. You are an inspiration! Oh, Sheri, I’m forever grateful for people like you…who read my words and understand. Thank you so much for all your kind and beautiful comments! Someday I hope to meet you, too.